Pokémon Go is, of course, one major hit of a game and everyone can’t wait to play it. Serious fans like my friends have even a set time dedicated to playing that game. That time can easily translate to a whole day. So they had been looking forward to the weekend so that they can hibernate at the shrine of their newly found god but shortly after the game continued to roll out in various countries, down go the servers! Needless to say, this is a significant frustration for the fans that were left trying to solve a problem they have no control over. It is one of those times you look at your phone or smart gadget and wonder what good it is for. Anyway, as is the norm in the world where there is freedom of expression; thanks to social networks, outrage and frustration from fans soon sent the cyberspace into frenzy. Niantic, who are the developers of the game app, took it to Twitter and announced that the servers had succumbed to an overwhelming number of downloads and player and nothing to do with a malicious attack or any form of hacking. 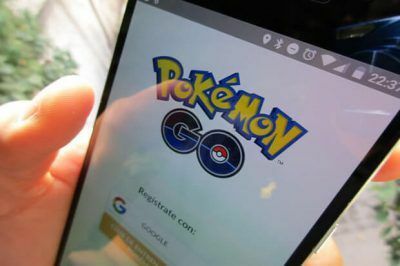 As Niantic was in the business of pacifying their agitated fans, two hacker groups came out claiming responsibility for the meltdown at Niantic’s servers using Distributed Denial of Service (DDoS) attacks on the weekend of 16th – 17th July. The news of the hacking came just hours after the app developers were releasing the game in various countries including Canada. One of the Hacker groups; PoodleCorp was the first to claim responsibility for the first attack that occurred just hours after the game’s release in multiple countries. The hacking attacks, which are staged by streaming a company’s server with an overwhelming amount of fake traffic that will render it incapacitated, have neither been confirmed nor verified. Following up on the statement from PoodleCorp was another statement from OurMine. The statement, which was published on OurMine’s website, said that the hacking group intended to take down Pokémon Go servers because they are vulnerable to hacking. The hacking group made it clear that no one would be able to play the game until Pokémon Go developers contact them. Moments later, OurMine updated a post on Twitter announcing their newly achieved success in hacking Niantic’s servers through a stream of DDoS attacks that lasted several hours. They then invited Pokémon Go techies to reach out to them to bring solution to the issue. One OurMine member said they staged the hacking for the overall benefit of both Pokémon Go’s developers and fans. According to OurMine, they knew that other hacking groups were able to take the servers down and that PoodleCorp were planning a DDoS attack. According to them, the DDoS attacks were meant to secure the servers by exposing online security loop holes in company and organization servers. 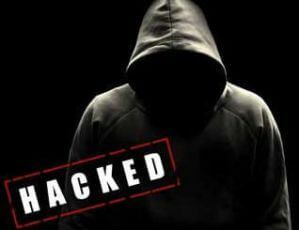 In the recent past, the self-christened “white hat” hackers have been in the limelight by targeting social media accounts of high-flying tech gurus including Sundar Pichai of Google and Mark Zuckerberg. OurMine says that exposing security holes through hacking and bringing down servers, they can advertise their services and help others protect their servers from hacking. The group which also claims to have been behind July 12 attacks on HSBC’s UK and US servers say they tried to take down Pokémon Go’s Twitter account but weren’t successful because they were well secured from any form of hacking. On the other hand, OurMine had their own Twitter account suspended following the hacking allegations. Gaming servers are continuously becoming targets of both hacking groups and individual hackers who bank on the difficulty of preventing or defending such servers from hacking. Blizzard, for instance, has had a fair share of blows from hacking groups like Lizard Squad, the same group that managed to ground Microsoft Xbox Live and the PlayStation network in the 2014 Christmas period.